DRV Elite Suites add uber-luxury to four-season, full-time, sub-zero RVing. 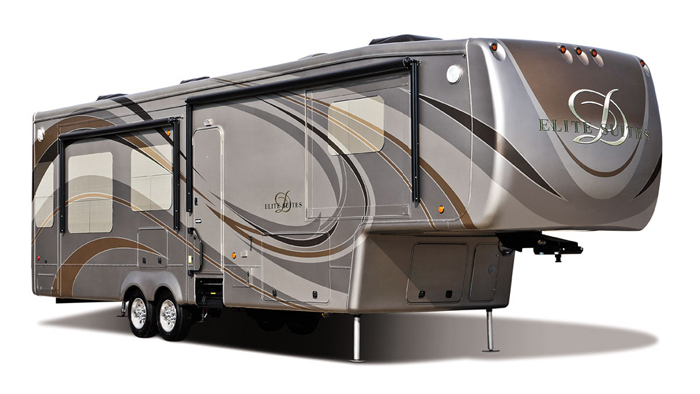 Elite Suites provide everything you need to make your fifth wheel a true home, and then ices the package with such standard features as central vacuum, limestone quartz countertops, custom ceramic backsplash, keyless entry, cedar-lined walk-in closets, power night-shades and so much more. With two dozen floor plans available and a variety of queen/king bedroom/bathroom configurations, you'll be sure to find the right layout to suite your needs.